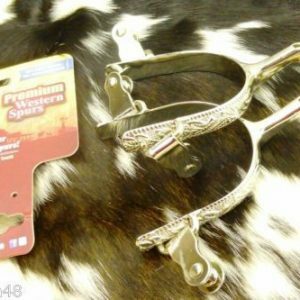 Home / Spurs & Spur Straps / Showman® Mens Size Leather Barbed Wire Concho Spur Straps. 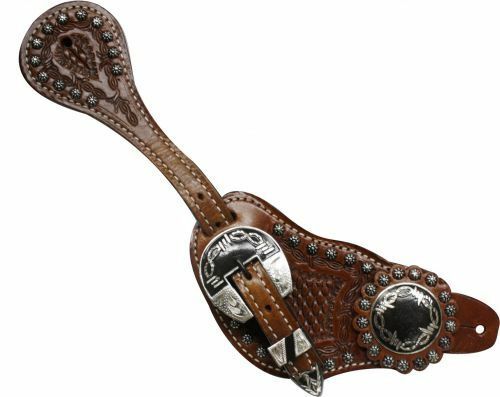 Showman® Mens Size Leather Barbed Wire Concho Spur Straps. 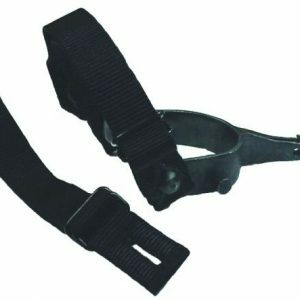 Showman® Mens Size Barbed Wire Concho Spur Straps. 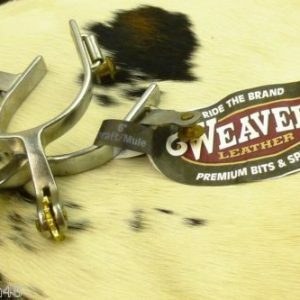 These spur straps feature basket weave tooling accented with engraved barbed wire concho and buckles. 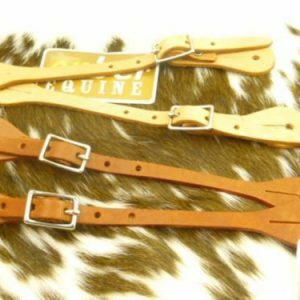 ENBEI EQUINE KIDS SPUR STRAPS LATIGO LEATHER NATURAL OR TAN COLOR Latigo Leather Youth Spur Straps.